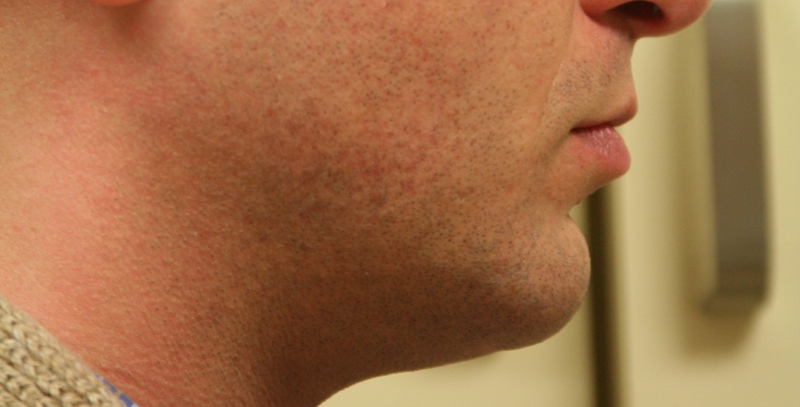 The chin plays an important role in facial appearance, and yet is often overlooked. Many people may feel that their nose is too large or too overpowering for their face, when in fact it is their chin that needs improvement. A chin that is too small gives the face a weak or unrefined appearance while a sculpted or chiseled jaw is seen as very desirable. 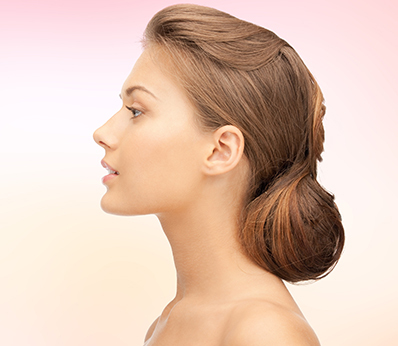 By enhancing the chin, definition is added to the jawline and facial balance can be restored. 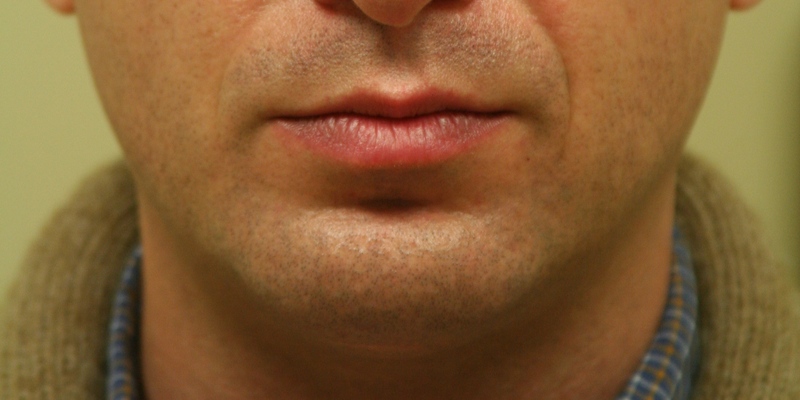 Chin implants are often combined with nasal surgery to obtain optimum correction of one’s profile. High cheekbones, in contrast, are readily acknowledged as a sign of beauty. When the cheekbone is less prominent, people often feel the face looks dull or lifeless. As one ages, the tissue over the cheekbone falls and creates a flatter appearance. 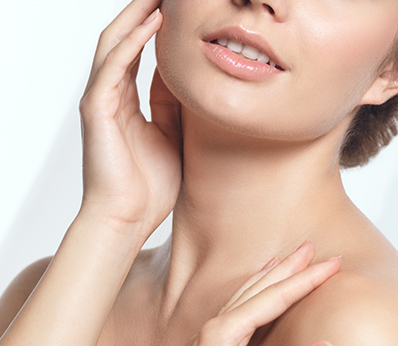 Some changes to this area can be achieved by injectables or a liquid facelift, to restore the soft tissue. Often, however, real changes can only be achieved with an implant. Cheek implants come in many sizes, shapes and materials depending on the exact correction that is needed. Once in place, the implant is invaluable in facial enhancement and balance. NYC Plastic Surgeon, Dr. Jennifer Levine, analyzes each patient to determine if chin implant or cheek implant surgery is indicated. For chin implants, Dr. Levine will review the teeth, bite, nose and overall profile, and a dental or orthodontic consultation may be suggested. Cheek enhancement can be accomplished with volume correction, either with fat transfer or fillers such as Sculptra or Restylane. If an implant is necessary, Dr. Levine uses only medical grade materials that are well-documented for their durability and safety, and are tailored to the individual patient. Dr. Levine will make a small incision in a crease just beneath the chin. The implant is inserted, positioned onto the jawbone and closed with fine sutures. *The procedure takes about 30 minutes. After surgery, there may be some swelling. Keeping your head elevated for the first two to three weeks helps to minimize swelling. You may also experience discoloration and bruising, which should resolve over the first two weeks. ∗Dr. Levine will remove the sutures in 5-7 days. It is recommended that you avoid any strenuous activity for at least two weeks. Dr. Levine inserts the implants through a small incision just above the gum line of the upper teeth. She positions the implant, secures it and sutures the incision. *Following the surgery, there may be some swelling and bruising, which should subside in about 1 week. Dr. Levine recommends compresses to help minimize any swelling. ∗The sutures dissolve in about in 7-10 days. ∗Makeup may be worn immediately after your procedure. ∗You may return to work in 5-7 days.